Ed Leonard was born on August 9, 1938, in Portland, Oregon, and was raised in Winlock, Washington. He entered the U.S. Air Force Academy in June 1956, and was commissioned a 2d Lt in the Air Force on June 8, 1960. After earning his pilot wings, Capt Leonard's first assignment was flying C-130A-II Hercules reconnaissance aircraft and Skyhook C-130's with the 7406th Support Squadron at Rhein Main AB, West Germany, from May 1963 to May 1967. He began flying combat missions in Southeast Asia as an A-1H Skyraider pilot with the 602nd Fighter Squadron at Udorn Royal Thai AFB, Thailand, in May 1967, and he flew 257 combat missions and participated in the recovery of 18 aircrew members in North Vietnam and Laos before being shot down over Laos for the second time on May 31, 1968. He evaded the enemy for several days before being captured and taken as a Prisoner of War by the North Vietnamese on June 2, 1968. After spending 1,760 days in captivity, including three and a half years in solitary confinement, Maj Leonard was released during Operation Homecoming on March 28, 1973. He was briefly hospitalized to recover from his injuries and then entered Air Command and Staff College at Maxwell AFB, Alabama, in August 1973. After graduating from the college, he was assigned flying the RF-4C Phantom II with the 10th Tactical Reconnaissance Wing and then to Headquarters Third Air Force, both at RAF Mildenhall, England, where he served from May 1975 to May 1978. His final assignment was with the 602nd Tactical Air Control Squadron at Bergstrom AFB, Texas, where he served from May 1978 until his retirement from the Air Force on July 1, 1980. After his retirement from the Air Force, Ed graduated from Law School and served as a prosecutor for the Texas Insurance Department and later as a defense attorney in Astoria, Oregon. He also served as the mayor of Ilwaco, Washington, from 2001 to the end of 2006. Ed Leonard died on Veterans Day, November 11, 2014, and was buried at the U.S. Air Force Academy Cemetery in Colorado Springs, Colorado. 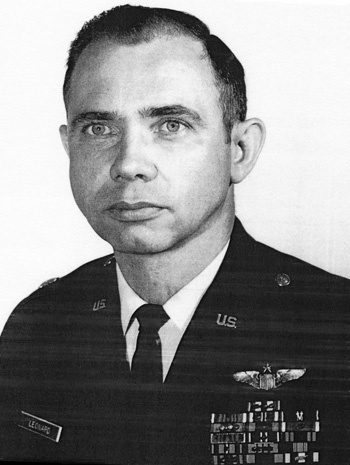 Captain Edward W. Leonard, Jr., distinguished himself by gallantry in connection with military operations against an opposing armed force as an A-1H Skyraider Pilot in Southeast Asia on 31 May 1968. On that date, Captain Leonard led a search and rescue effort for an American pilot who had been forced to abandon his aircraft over hostile territory. Despite continuous barrages of withering groundfire from a multitude of gun positions, Captain Leonard pressed the search for the downed pilot. Captain Leonard's aircraft ultimately received so much damage that he was forced to abandon it. His search pinpointed the defending gun positions and materially assisted in locating the downed pilot's position, leading to the eventual success of the rescue. 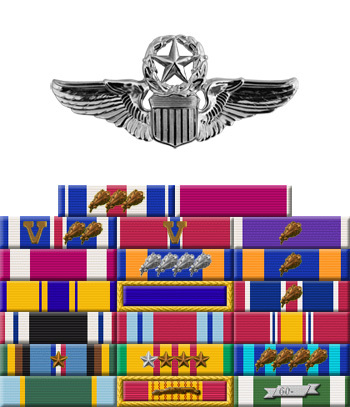 By his gallantry and devotion to duty, Captain Leonard has reflected great credit upon himself and the United States Air Force. 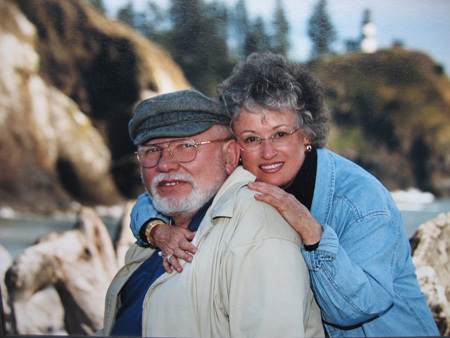 Ed and his wife Suzanne at Cape Disappointment, circa 2006.